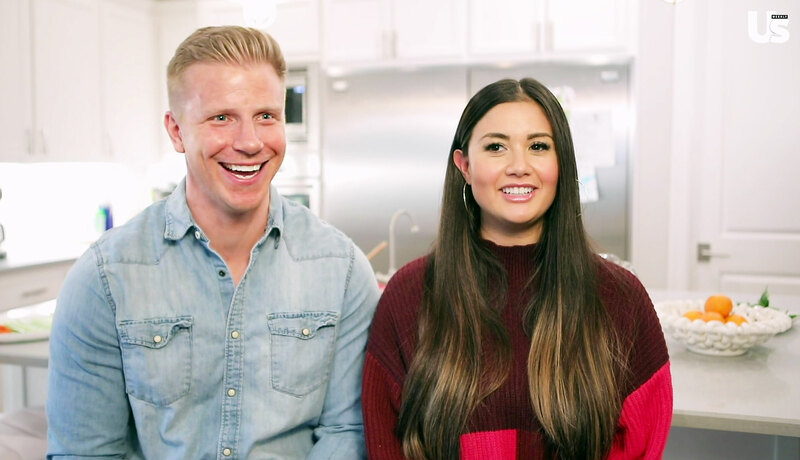 Sean Lowe and Catherine Giudici still can’t believe they met on The Bachelor. And as one of the show’s longest-lasting couples’, the pair insist they don’t feel any sort of pressure. “We’re married and that’s not going to change till we get old and I die, and then she can remarry a younger guy,” the season 17 Bachelor alum joked. “I think we don’t even think of ourselves as a Bachelor couple in that way, anymore. We’re so normal and we’re just living a wonderful life as parents to new kids,” Giudici, 32, chimed in. Now that the parents of sons Samuel, 2, and Isaiah, 7 months, celebrated their wedding anniversary on January 26, Valentines Day will probably be a low-key night for them. “We usually go to, like, sushi or something, and then we miss the kids and come back early,” the mom added. Sean Lowe and Catherine Giudici. For more on Lowe and Giudici’s relationship, watch the video above!